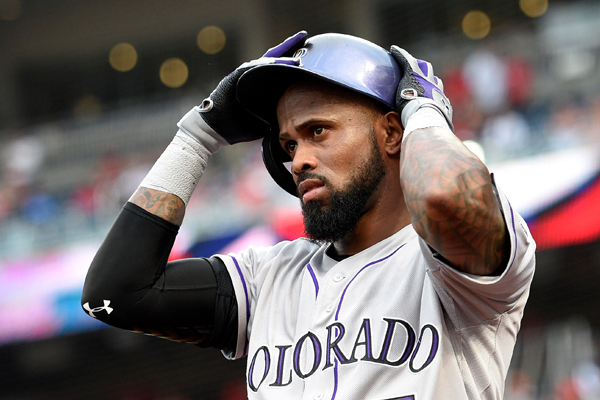 Colorado Rockies shortstop Jose Reyes who was accused of alleged domestic violence in October will soon learn what his punishment will be. According to Jon Heyman of MLB Network the suspension is expected to be at least 60 games but it may be closer to 80 games, basically half a season. Reyes was not criminally charged but his offense was considered serious. Hotel workers at their Maui hotel reported that Reyes’ wife Katherine suffered injuries to her neck, wrist and thigh. Katherine did not cooperate with police or the MLB, leading to charges being dropped. The Rockies is the third team Reyes has played for since 2011. Luckily for Colorado, rookie shortstop Trevor Story has emerged in Reyes’ absence batting .272 with 11 home runs and can easily replace Reyes should he be out for an extended period of time. If the Rockies don’t move Reyes, they will still have to pay the remainder of his contract. Voiding contracts is not a normal occurrence but there have been instances where teams have gotten financial relief in return. That could be something to keep an eye on with Reyes and the Rockies.